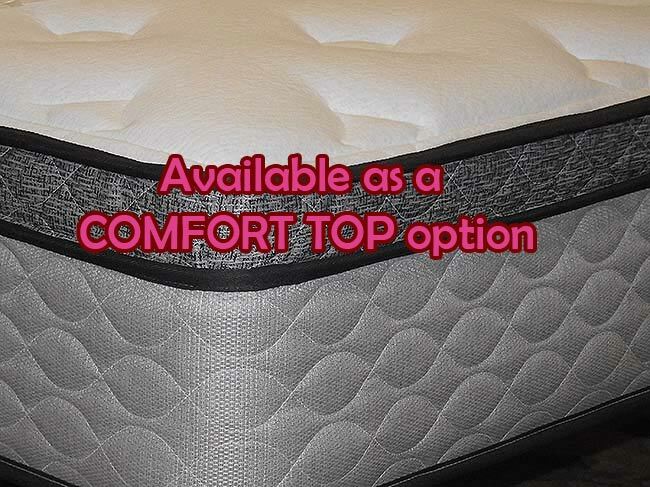 WHAT'S NEW in DELUXE WATERBEDS? 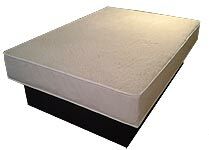 Energy saving, his and her firmness comfort, storage under. 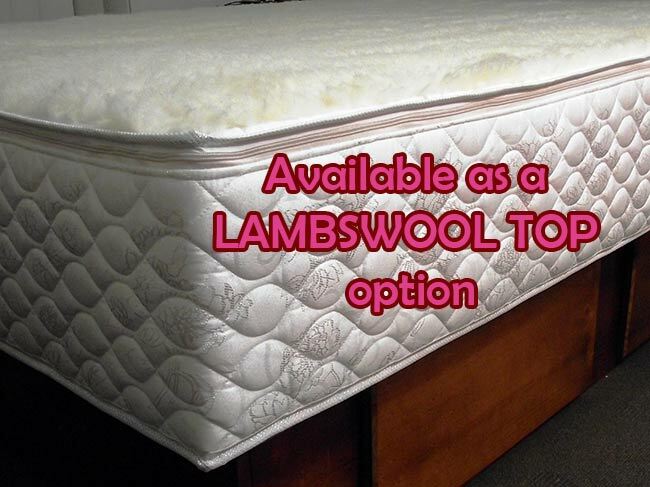 NEW GENERATION WATERBEDS ON SHOW! Conditioner, repair kits and bits Where? Yes!! Check it out! 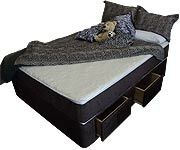 With a little extra support under the slats available from us, this slat bed is now a waterbed. Dial your own temperature for each side ie. Cool on one side and warm on the other. 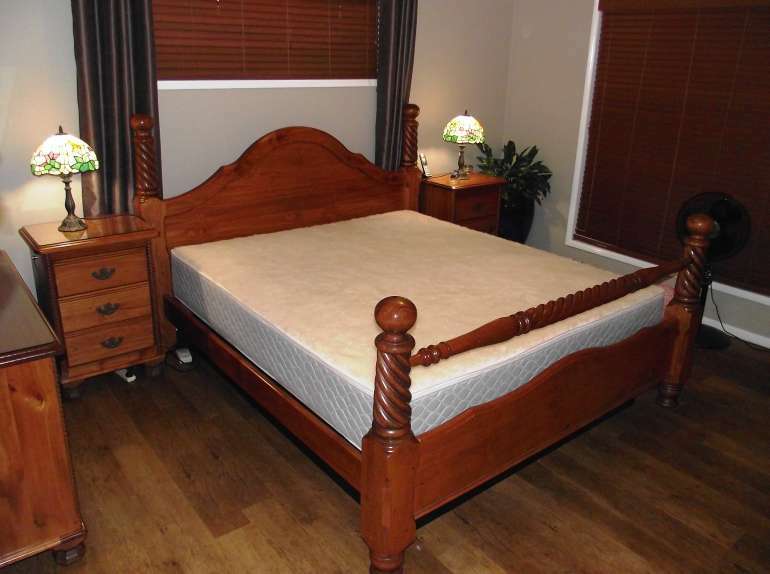 Have different sleeping surfaces. 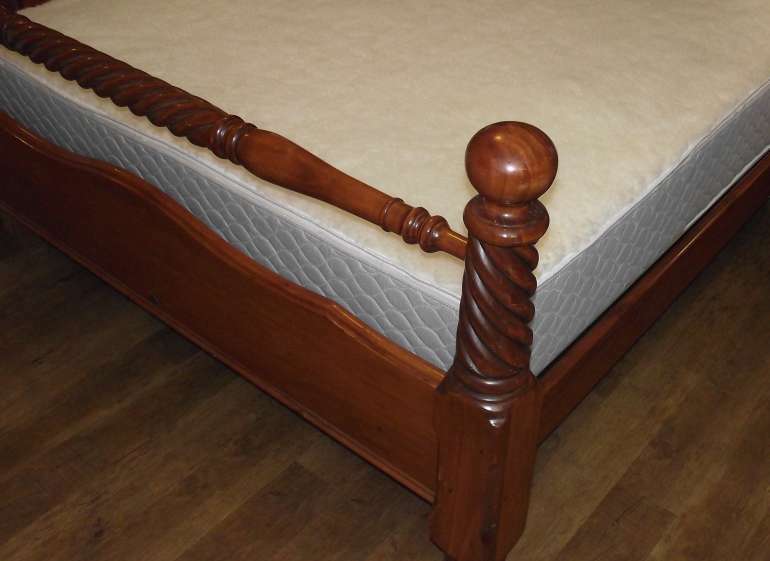 Firm on one side, soft on the other for example. 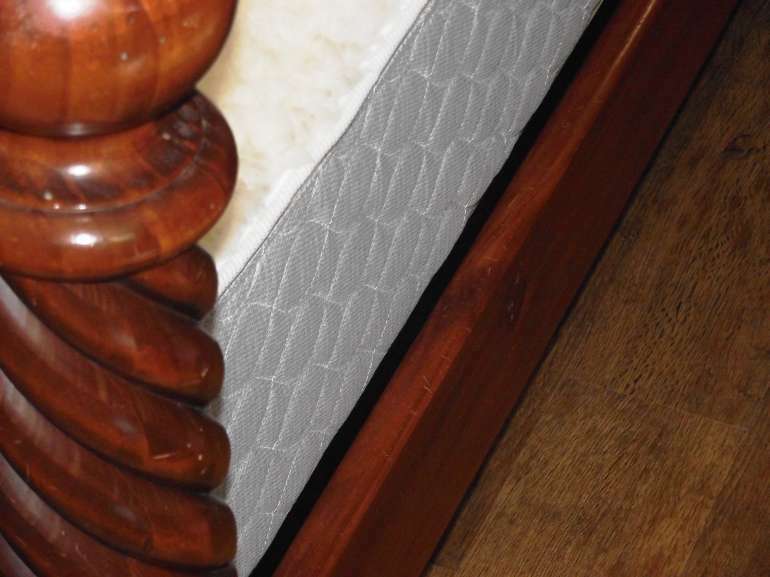 Use your existing timber frame slat bed as the basis for your New Waterbed. What other bed has this? 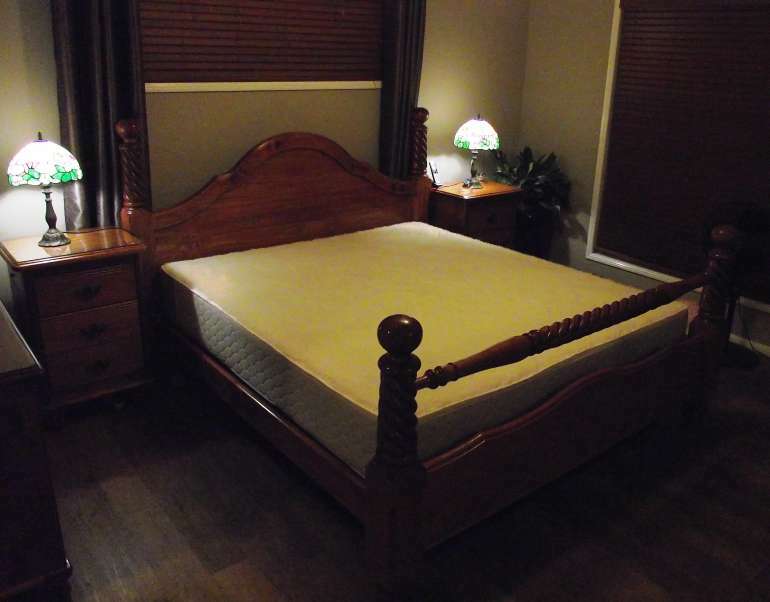 The finished waterbed looks just like the original. The weight is supported by a just-visible pedestal base. 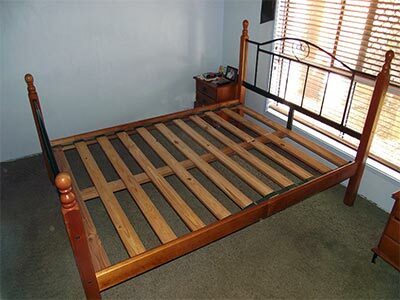 Please note that we did not supply the bed timberwork. 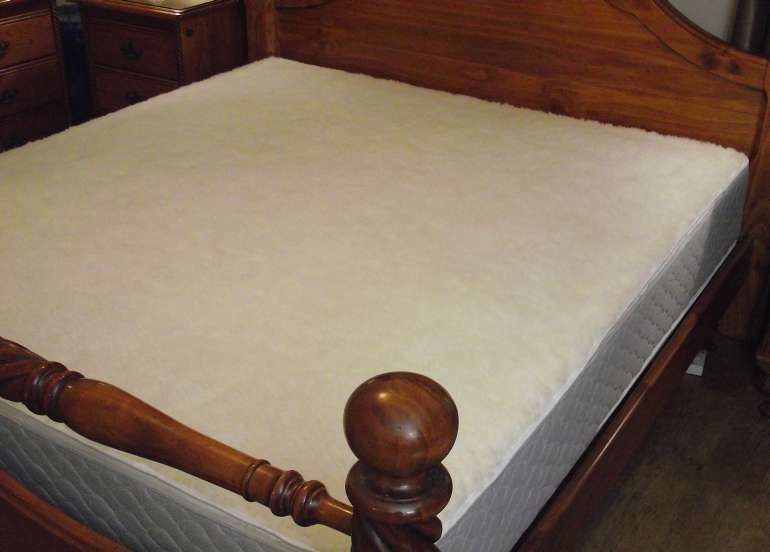 We replaced the existing mattress with a Dreamaster. 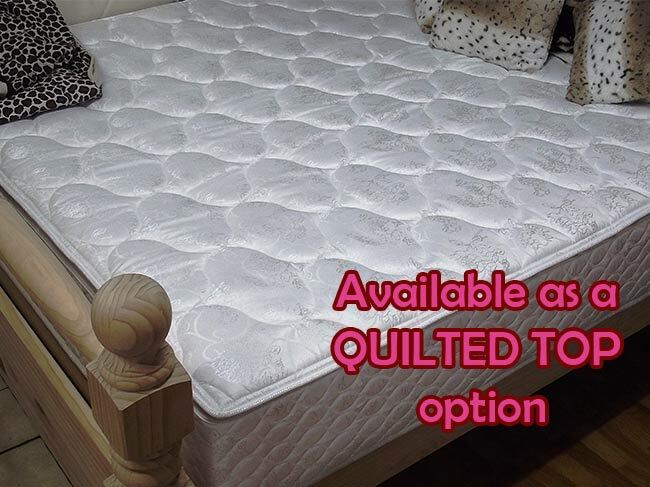 How would you like to convert your bed to our Dreamaster System? Over 9 out of 10 customers who visit our showroom, buy our Dreamaster System, They see the difference between the budget and standard versions; currently available on show for you to compare. 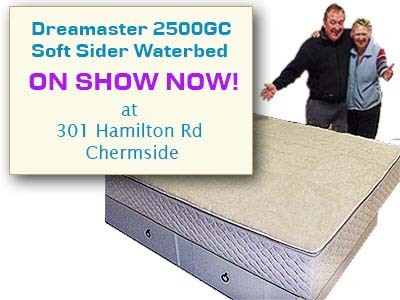 Dreamaster is exclusively developed and only available at Dreamlover Waterbed World. 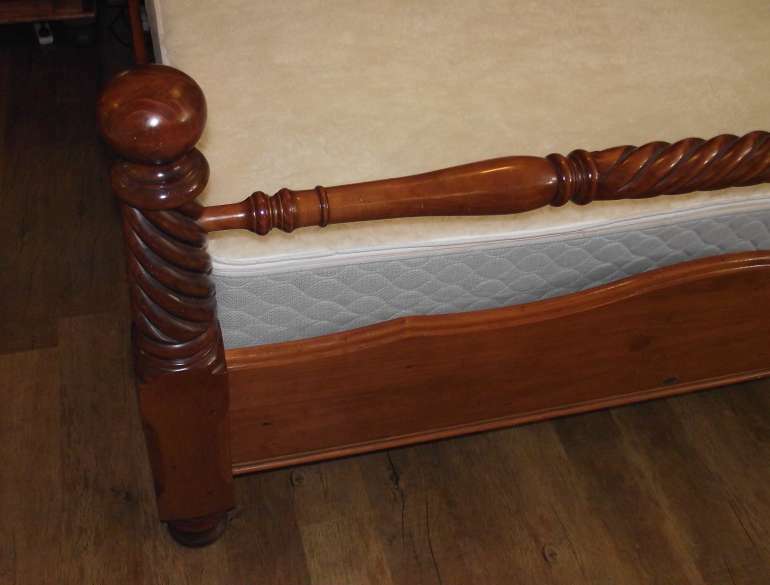 How do we convert your bed link this to? 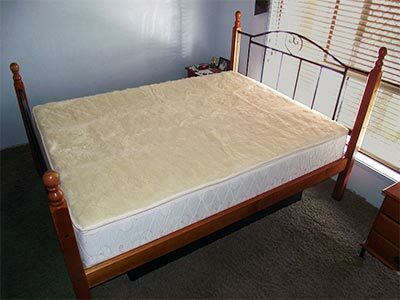 This link [how we do it] shows a basic format on how we convert a slat base bed to a ensemble waterbed.